Are you a B.A.S.S. member in good standing? If you are a B.A.S.S. 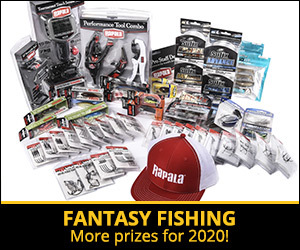 member and you win a tournament, you will win an additional $500 gift card to Bass Pro Shops. Click here to join now. Supplying Email address provides you with news and special offers from B.A.S.S. I'd like to receive occasional updates, special offers and other information from B.A.S.S., LLC. I'd like to receive occasional updates, special offers, and other information from carefully selected third parties.